Tropical plant leaves vector silhouette collection. 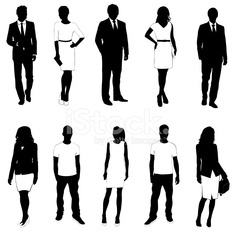 Vector silhouettes of business people. Vector silhouette of a toddler.